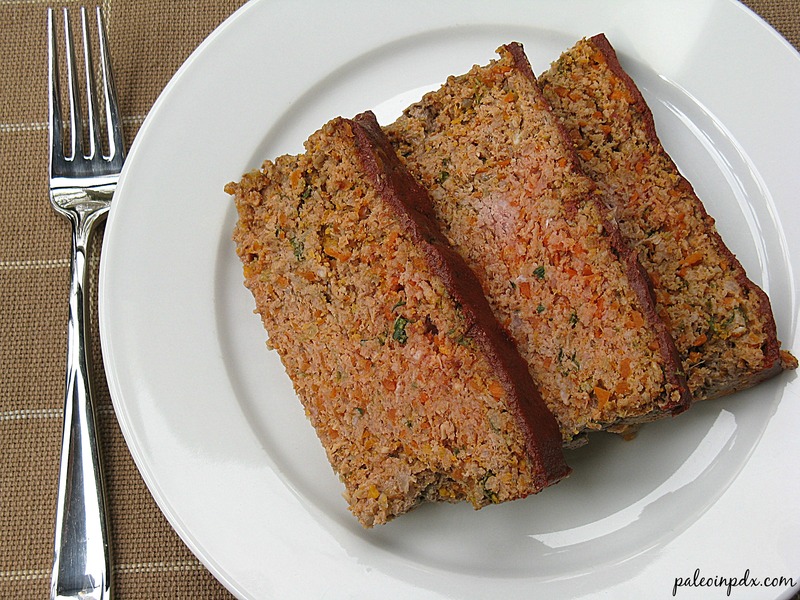 I don’t make meatloaf very often, but whenever I do, this is my classic beef meatloaf recipe. I think it’s the veggie pieces in the meatloaf and homemade ketchup that really do it for me. It all adds color, and the veggies add some nice texture and flavor too. I hope you all enjoy it as much as I do! 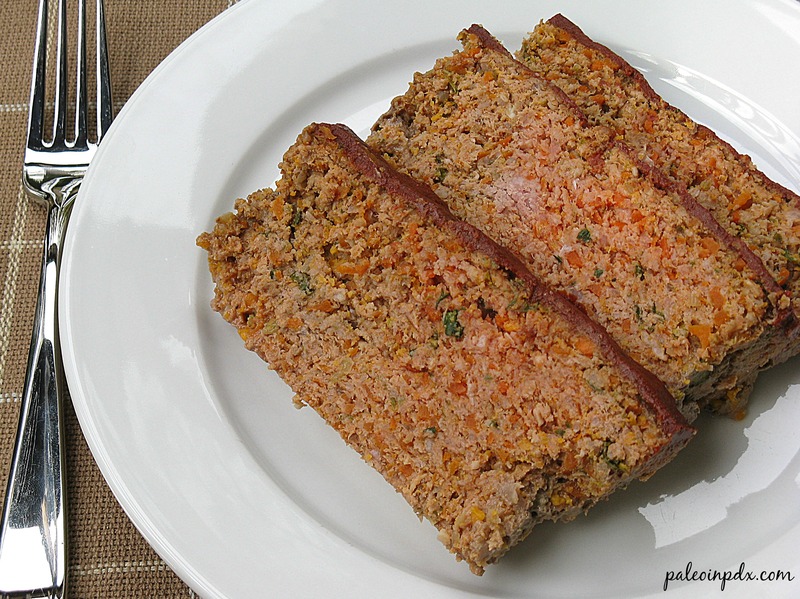 Also, you can definitely make this with ground turkey if you prefer or want to change it up. Place diced carrots, onion, celery and garlic in the food processor. Pulse until everything is finely chopped. You can also use a blender such as this one to prep the veggies. Melt the ghee in a large pan over medium heat. Then, add the veggie mixture from the food processor. Saute 3-4 minutes or until softened slightly. Remove from heat and set aside to cool. Once veggie mixture is cool, add to a large mixing bowl with the ground beef, egg, sea salt and pepper, tomato sauce, coconut flour and fresh parsley or cilantro. Get in there with your hands and mix well. Once everything is fully incorporated, place in a large loaf pan. Alternatively, you can form it into a freestanding loaf on top of a foil-covered baking sheet. Bake for 30 minutes in a preheated 350 degree oven. Remove from oven and top with about 1/2 cup of homemade ketchup. Place back in oven to bake 30 minutes longer. Allow to cool for about 5-10 minutes before slicing. Serve meatloaf with extra ketchup, if desired. Mix all the ingredients together in a bowl and whisk well to combine. Store in the refrigerator. This looks really great and I love the addition of veggies. I will definitely try this version next time…and maybe make them as meatloaf “muffins” so that I can freeze some. Thanks for a great recipe! Thanks, Nikki! The veggies make it extra flavorful and add some nice texture. I’m sure this would work great for “muffins.” Let me know how it goes if you try it! This looks great, definitely want to try it out! Made this tonight – my boys and I LOVED IT – THANK YOU!!! Happy to hear it, Meredith! Thank you for giving it a try!